The Kitchen is livening up your winter favorites, starting with Geoffrey Zakarian's luscious Ricotta Gnocchi. Then, the hosts test the latest kitchen gadgets, and three weeknight potato dishes get a boost. Marcela Valladolid has a new twist on fondue, and Judy Joo joins the crew with her take on Korean Fried Chicken. Plus, you'll stay toasty warm with tasty mix-ins for your cocoa. 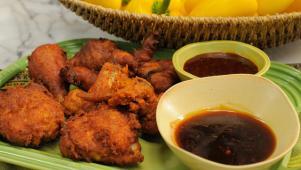 Judy Joo stops by and shares her secrets to spicy, crispy fried chicken. 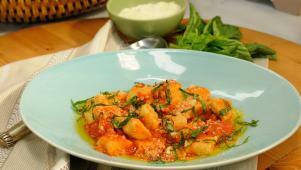 Geoffrey switches up gnocchi by filling them with ricotta, not potatoes. 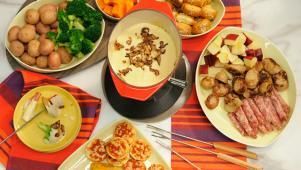 Marcela's Mexican take on fondue has chiles and two kinds of mushrooms. 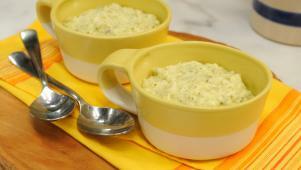 Sunny prepares fluffy, flavorful Mashed Potatoes with Pesto. 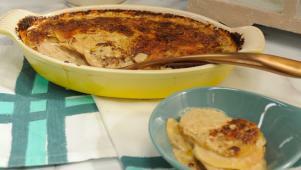 Geoffrey shares an umami flavor bomb: potato gratin with mushrooms.